Q&A: What is Comparative Data? 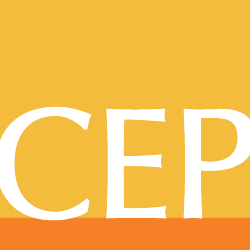 We’re reviving our Q&A series on the blog, in which readers can submit questions to be answered by CEP’s experts. We’d love to hear from you with questions related to relationship-building with grantees, grantmaking patterns, assistance beyond the grant, or any other topics related to foundation effectiveness. To submit a question, please email Ethan McCoy at ethanm@cep.org. We will respond to all questions directly, and we’ll choose one question per month to answer on the blog. For the latter, we can withhold your name upon request. Today’s question is one we receive frequently from foundation leaders. Q: What is comparative data, and why should it matter? Many foundation leaders often ask us why we emphasize the use of comparative data in our assessments at CEP. The reason is straightforward: there are unique dynamics that exist between funders and grant-seekers and between community foundations and their donors. Simply receiving a number rating on particular measures of foundation performance can be difficult to interpret or even be misleading without robust comparative data. For instance, a foundation may rate 5.5 on a 7-point scale on a particular measure in our survey. On first glance, that seems quite strong. Yet, because receiving grant funding is inherently a positive experience, grantees overwhelmingly utilize the high end of rating scales. (We also see this dynamic at play with donors to community foundations, where giving is also related to generally positive ratings). Comparative data is therefore essential to interpreting and normalizing the 5.5 rating, as it shows funders their results relative to CEP’s full funder dataset, where a 5.5 out of 7 may be comparatively high on some measures, more average on others, and low on yet others. In fact, on a number of measures, a rating of 5.5 out of 7 can be toward the bottom of CEP’s comparative dataset. In this way, comparative data provides essential insight into a foundation’s key strengths — and also opportunities for improvement. In addition to providing benchmarking against our full dataset of funders, CEP works with foundations to create a secondary comparison point via a customized comparison cohort of foundations that are more like them. With both of these comparison groups, foundation leaders can have confidence in understanding and contextualizing their own foundation’s results, distilling their strengths and opportunities, and taking the requisite action steps to improve their effectiveness. Answered by Naomi Orensten, director, assessment & advisory services at CEP. Have a question about your foundation’s performance assessment efforts? Naomi is available to chat with you about your needs. She can be reached at naomio@cep.org.